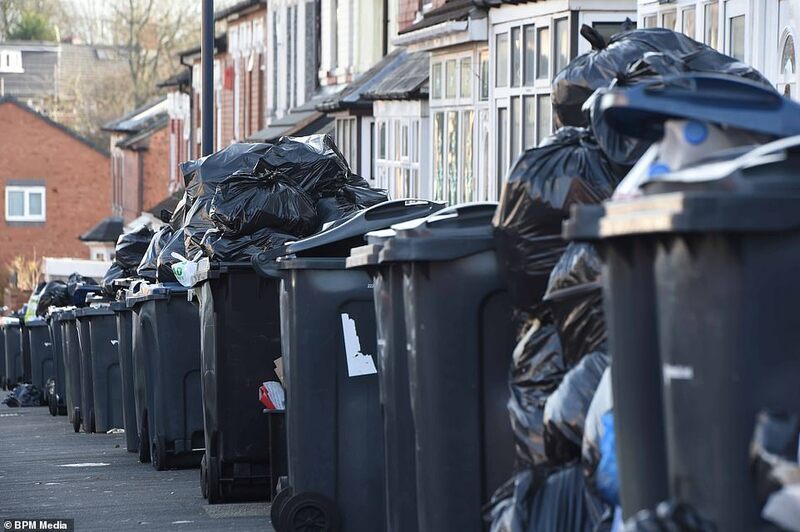 Bins are overflowing and litter is rotting on the streets of Birmingham after more refuse collectors voted to take industrial action alongside their binmen colleagues, leaving rubbish left over from Christmas piled high on city pavements. Around 30 members of the union Unison will join the strike after voting unanimously to come out in solidarity with their Unite Union workmates, who downed tools weeks ago amid a dispute over legal payments. 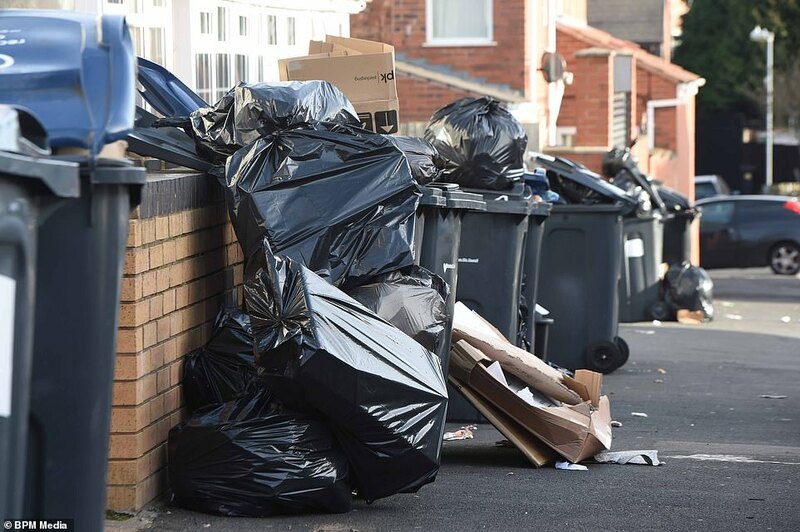 Photos taken in the city show the rubbish left over from the festive season fouling the residential area after union and council bosses were unable to break the deadlock, as locals claim they’ve had no collection for seven weeks. 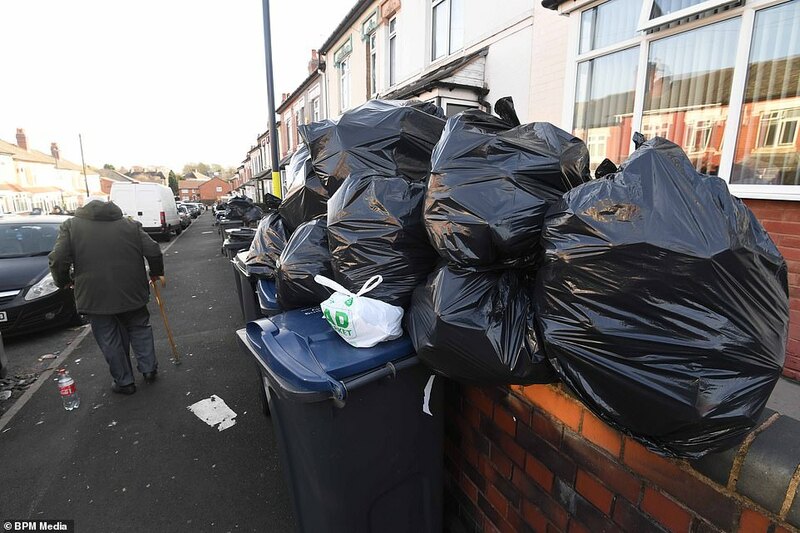 Members of the Unite Union, who make up more than 300 of the city’s bins workforce, are demanding parity with the much smaller group of GMB-affiliated bin workers over a payment made to them to resolve a legal dispute. Last ditch talks failed to avert the dispute between members of Unite and Birmingham City Council on December 29, so a string of disruptive measures were implemented. Now members of the smaller union have come out in solitary with Unite, plunging the city into more rubbish chaos with rats drawn to the area for an easy meal. 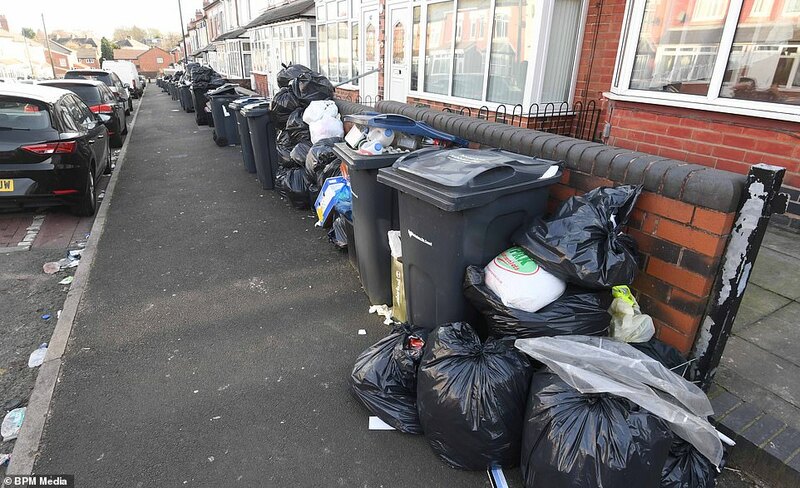 As the strike began last year, resident Lisa Cartwright, who lives in the Moseley area of the city said she has not had her bins collection for seven weeks at her block of 12 flats. She said: ‘Our collections have never gone back to normal since the strike action. Our bins have not been emptied for at least seven weeks. 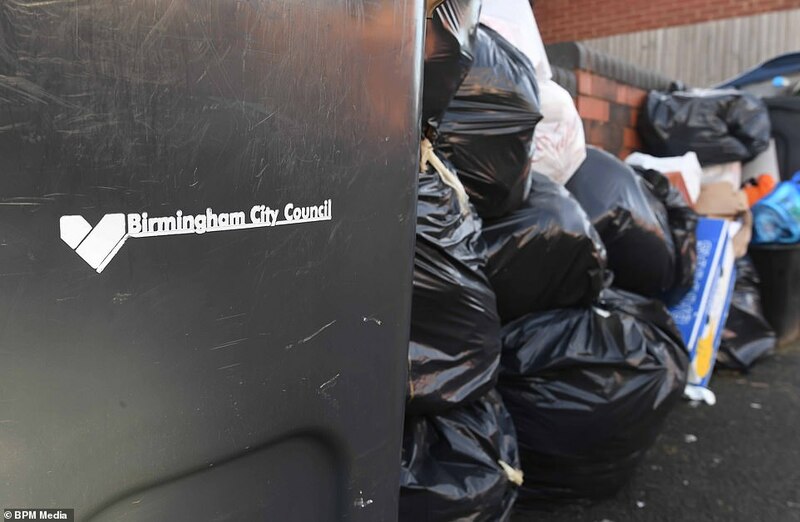 A Birmingham City Council spokeswoman said at the time: ‘We are looking for any reports of missed collections from this particular address, but we will make arrangements for a collection to be made as soon as possible. ‘Following the move to new routes and five-day working, our crews continue to build local knowledge to ensure the most efficient routes are used – however there are still some problems and we are trying to resolve any outstanding issues. Strike action among binmen is not new in Birmingham. 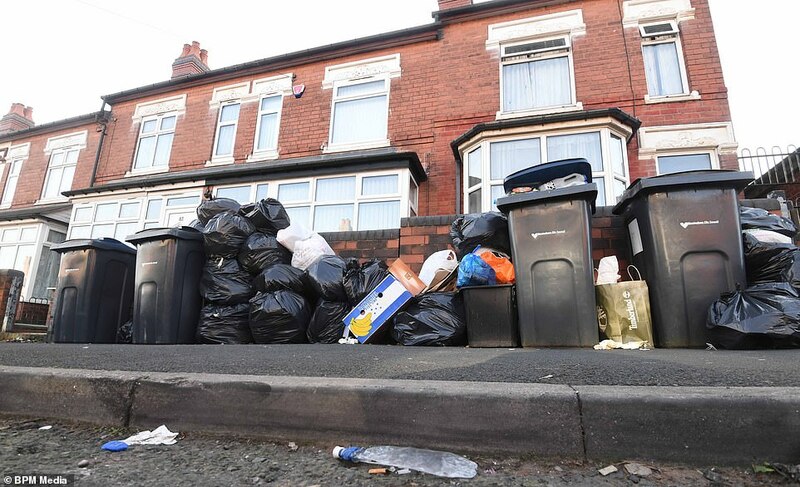 In September 2017 bin workers finally suspended strike action which had taken place due to a dispute with the council over job losses.